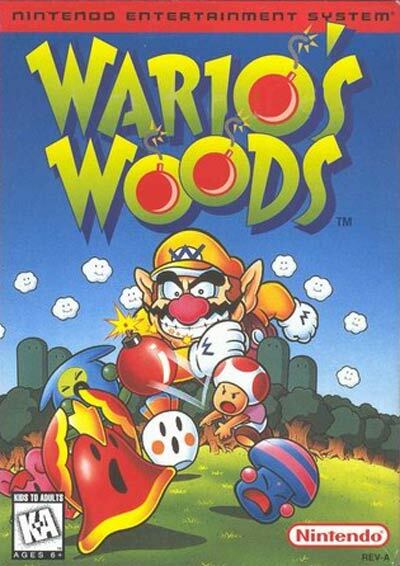 Wario's Woods was the final title released by Nintendo for the NES. Wario is filling the forest with bombs, monsters, and goblins. Toad must try to catch and line-up these items to eliminate them. Similar to TETRIS, you'll run the field to catch pieces to earn big points. Help Toad save the forest in WARIO'S WOODS!